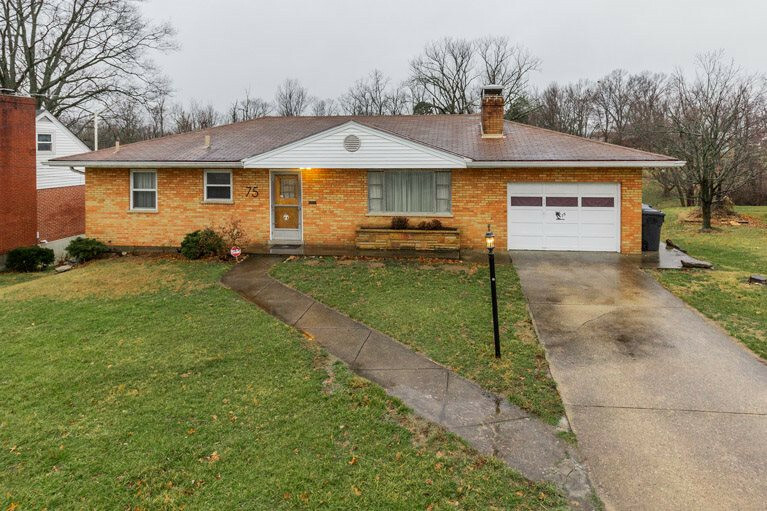 This all brick ranch home sits on 1/2 acre lot! Super private backyard with mature trees. The home is USDA Eligible with 100% financing. This cozy home offers 2 spacious bedrooms * beautiful hardwood floors under the carpet * WBFP * attached garage * eat-in kitchen plus dining room * all appliances included, plus washer & dryer * unfinished basement w/walk-out to yard * new roof! Great convenient location to NKU, restaurants, shopping & interstate. Seller providing 1st Year Home Warranty.